Home sales in British Columbia have returned to their historic average although with variations from city to city. BC Real Estate Association says that sales in Victoria are above average while Vancouver is below. Overall there were 23 per cent fewer homes sold through its MLS system in January compared to a year earlier. "Housing demand across the province returned to long-term average levels last month," said Cameron Muir, BCREA Chief Economist. Vancouver’s share of BC’s home sales slipped from 43 per cent in January 2016 to 35 per cent last month. The Greater Vancouver market’s benchmark price fell by 3.7 per cent in the last 6 months, but is up 15.6 per cent compared to January 2016. However, BCREA says that fewer detached home sales relative to multi-family units has led to the price decline. Across the province, the benchmark price was down 17.5 per cent year-over-year to $621,093. 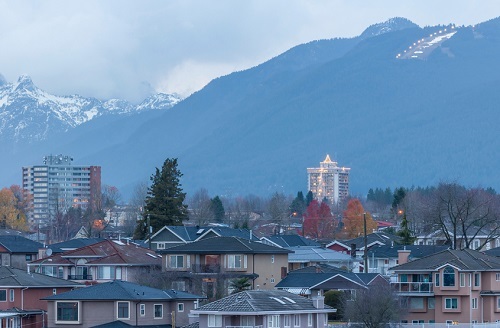 ''A marked decrease in the average MLS residential price is largely the result of relatively more home sales occurring outside of the Lower Mainland," added Muir.